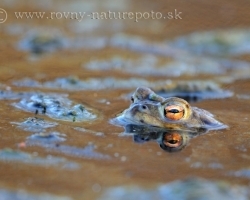 Sometimes the setting sun turns the water in the lake on the golden fairy tail and toad becomes the princesses. 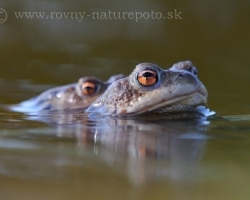 Warming after the winter like a magnet attract common toad with their desire of love to the water of lakes. 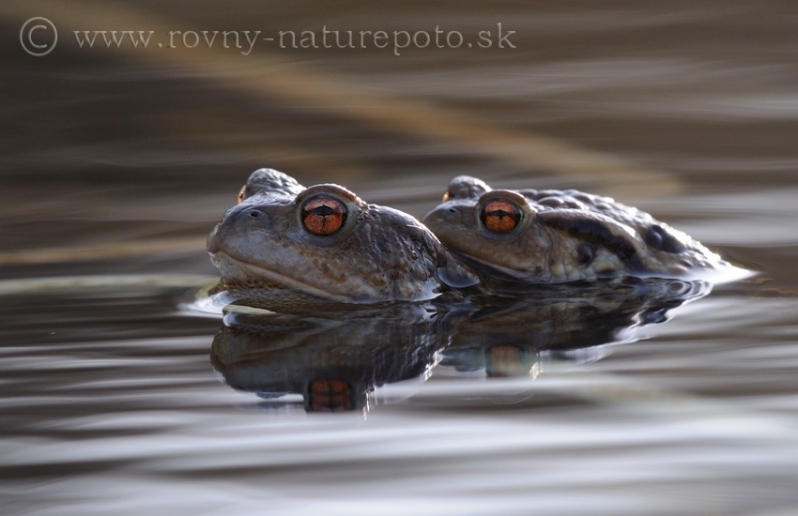 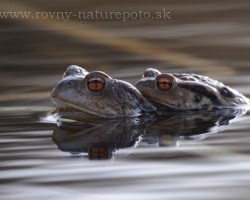 The spring is comming and it is time for common toad love. 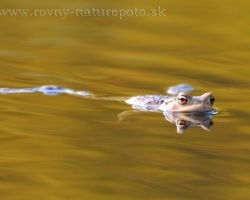 Sunshine looked golden light from behind the reeds and bats. 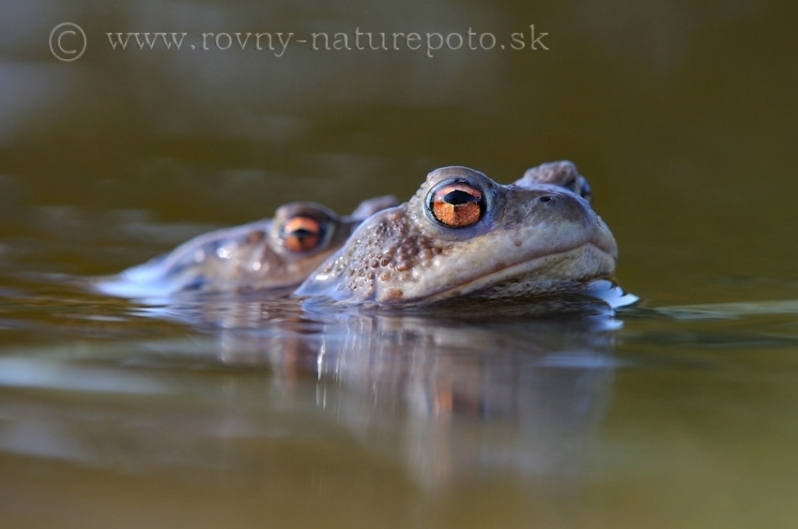 Common toad sideways looking at the beauty and the expected arrival of their loves. 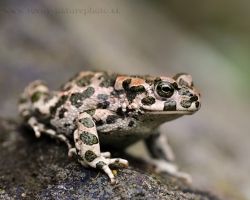 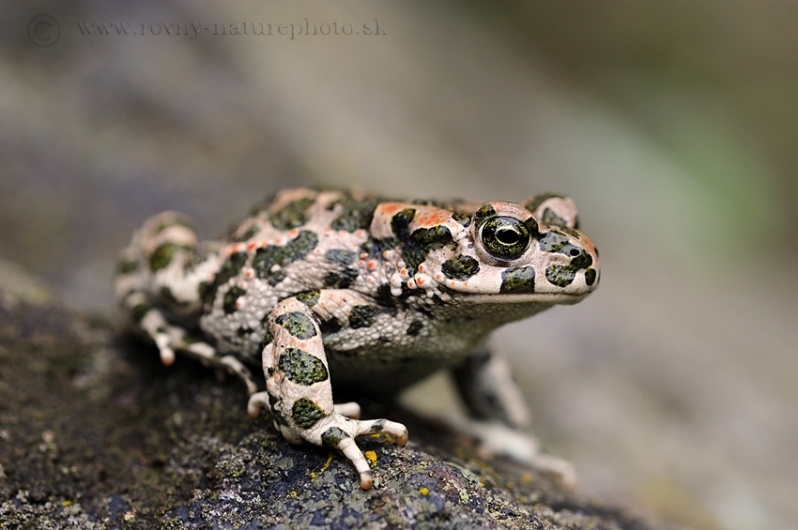 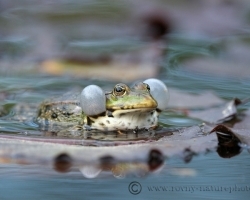 Rainy spring and summer was perfect for european green frogs. 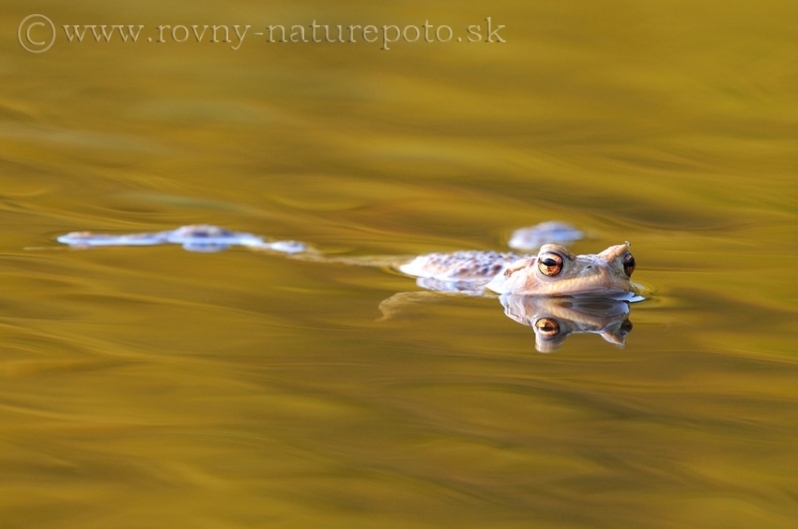 In the surrounding villages under the Sitno it just swarming with them. 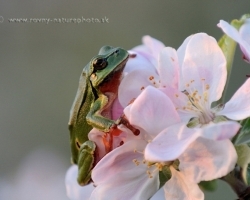 It's green, has a shrill voice, loves the trees ......... what is it? 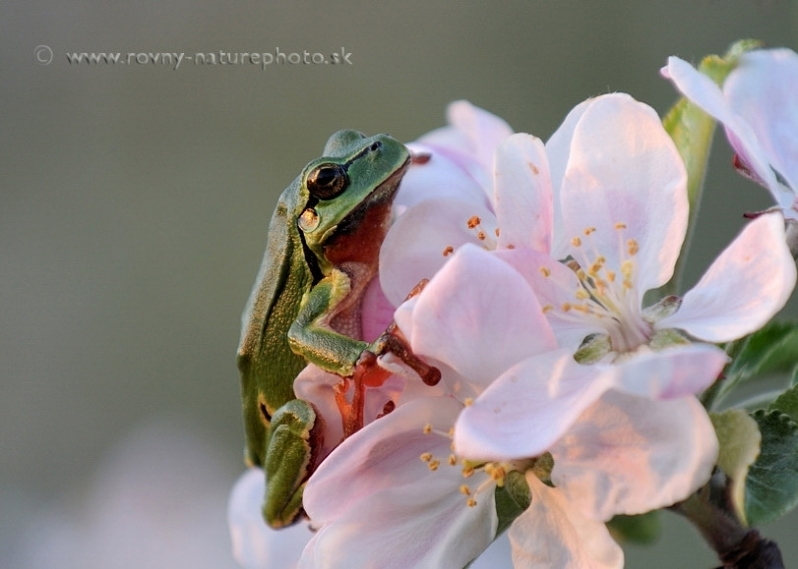 Yes this little singer with a voice as pure as water wells sitting in the tree and announcing to the world that the warm rain comming is tree frog. 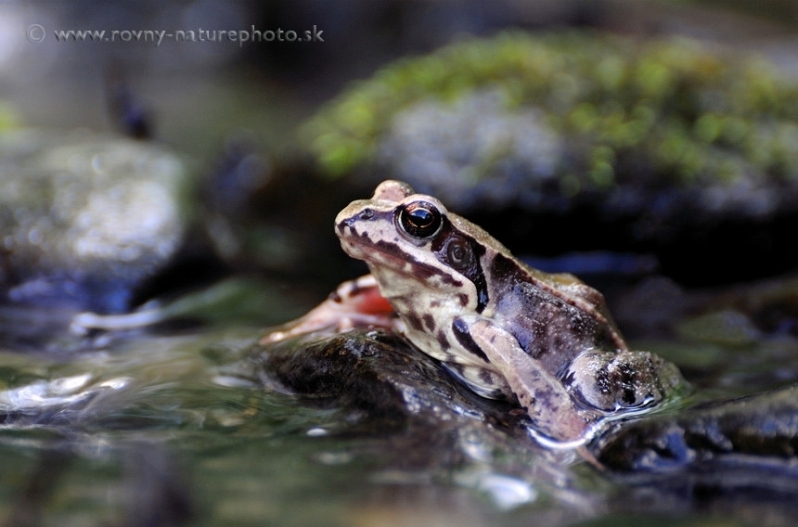 The forest is its home and a small stream is the cradle of its seeds. 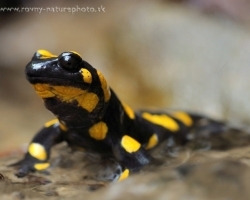 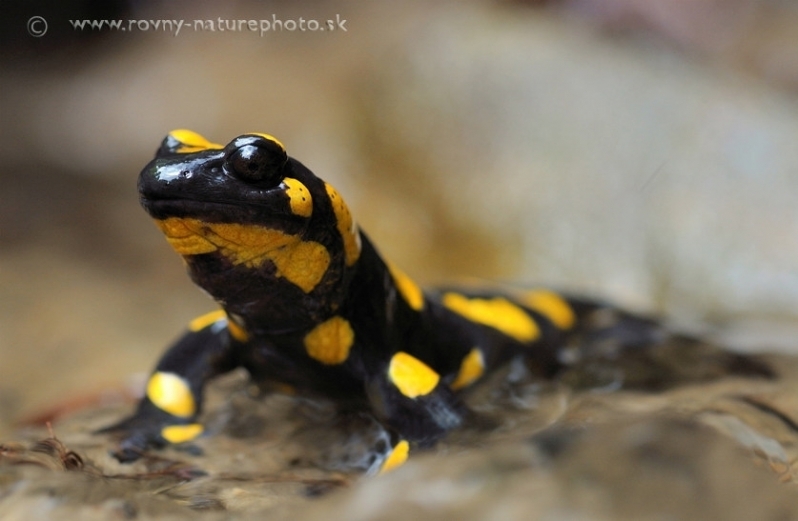 Fire salamander surveys at their nurseries. 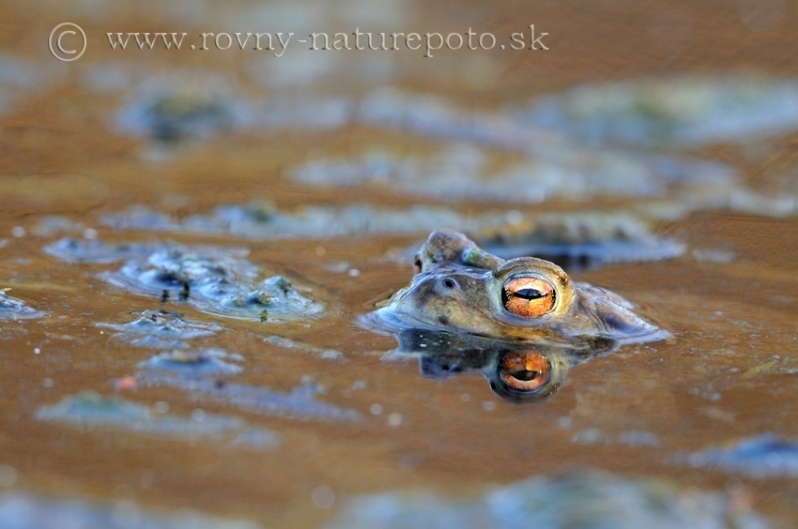 Sitting in the cool stream, and thinking about their frog dreams - common frog. 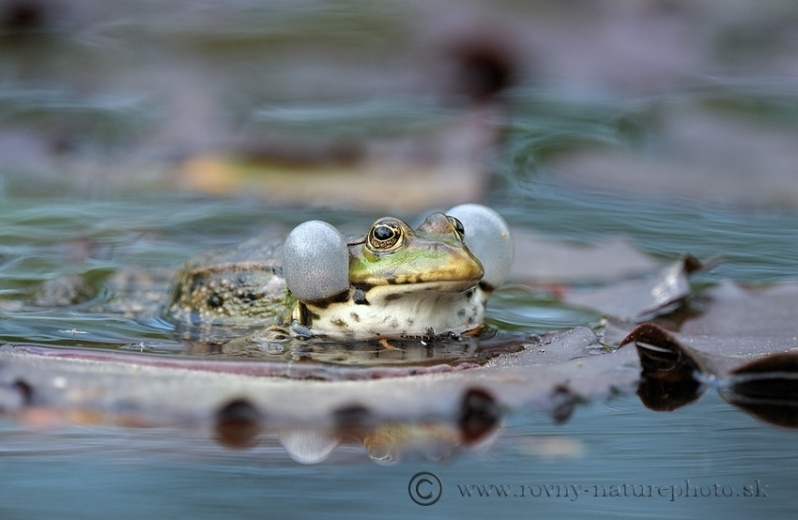 The photo captures a common european frog with inflated resonators in issuing a strong sound "brekee ke ke". 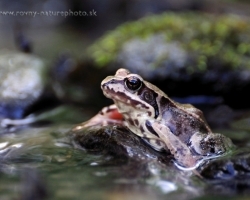 This species is bound throughout the year on the aquatic environment.